Juniors Anusha Datar and Sebastian Beuchelt represented Burlington High School last week at the annual Middlesex League Principals SILS Award Luncheon. Each year the principals of the schools in the Middlesex League recognize a junior boy and girl with the SILS Award. The award recognizes students for Service, Integrity, Leadership and Spirit. Recipients must have a 90% or better attendance rate, must have a B or better grade average with no grade below a B- and must be active in extra-curricular activities. The SILS Award recipients must possess high integrity and demonstrate leadership and good citizenship as well as having participated in school and/or community service. 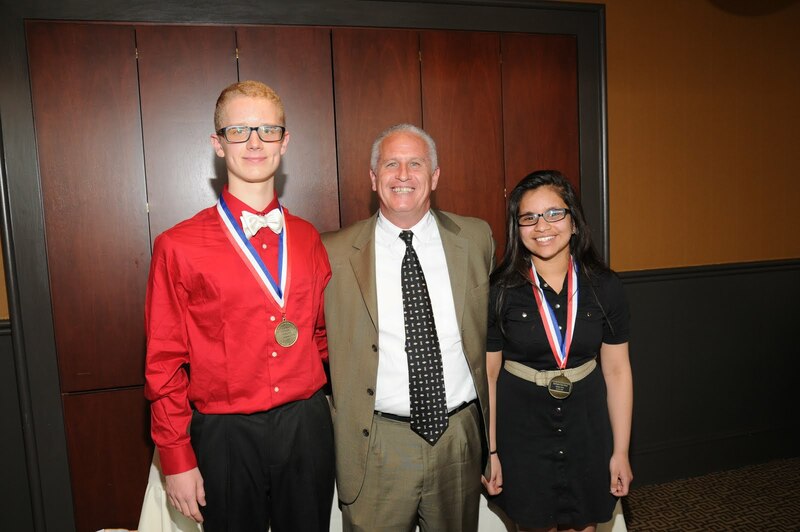 Thank you to Mr. Sheehan who attended with Anusha and Sebastian as they received this award - and for sharing their accomplishments with the other league principals and students. Congratulations to Sebastian and Anusha!